What: The PostUp connection allows you to push profile data to PostUp for email segmentation and triggered email campaigns. Additionally the connection allows you to import data for known users! Why: Interact with your email recipients with relevancy on-site, and in their inbox! By using BlueConic's unique behavioral data collection engine and/or sharing data from other platforms with PostUp, you can enable a highly relevant email program for triggered emails and drip campaigns. For the connection to work, you must have an active PostUp account. In BlueConic each visitor profile is used throughout the system. In PostUp, list members are separate for each list. This means that one person can be on several lists within PostUp, while at the same time not being the same entity throughout PostUp. As a result, one BlueConic profile may map to multiple PostUp entities. PostUp Field Labels will allow you to map custom data into your PostUp lists for segmentation and personalization. BlueConic needs an authorized connection with PostUp. You will need to supply the sFTP credentials for the connection. Authorize the connection by entering your PostUp username and password, in the Authentication section, at which point you should receive an authentication success message. After authorizing with PostUp, list selection and field label selection should autopopulate with available list data from PostUp. There are two options available for activation: import and export. Configure an import goal to import PostUp subscribers in BlueConic. When importing PostUp users into BlueConic, profiles are matched on email address. Only users that are associated to the configured lists will be imported. When a match is found, that profile is updated according to the "PostUp to BlueConic mapping". When no match is found, a new profile will be created only if the 'Allow PostUp to create new BlueConic profiles' has been checked. To enable BlueConic to import data from PostUp correctly, PostUp needs to export the data via the following configuration: <listExportTitle>_blueconic-yyMMddHHmmss. Please contact the PostUp team to configure this correctly for you. Configure an export goal to add BlueConic profiles to PostUp lists. Only profiles associated to the configured segment will be added to the configured lists. Users in PostUp are matched on email address, when no user is found, the user will be created. Each user will be updated according to the configured 'BlueConic to PostUp mapping'. These are empty when creating a PostUp connection. Add a new variable by clicking the Add Variable button. This list determines shared mapping identifiers from BlueConic into PostUp. Exporting data allows BlueConic to create and synchronize subscribers on the PostUp side, including adding subscribers depending on their segments within BlueConic. Choose identifiers in the list and then which fields will be used to match those segments in PostUp. When selecting the value type of "Profile Property" this is where you select the profile property to send to PostUp. The PostUp field label where the BlueConic value will be stored. These have to pre-exist in PostUp. Note that PostUp fields have a restriction of 255 characters. If a BlueConic value contains more than 255 characters it will be truncated when synching over toPostUp. 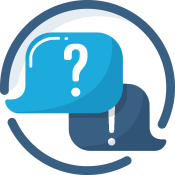 If the user is inactive for over 12 months, and BlueConic doesn't recognize their profile then the unidentified profile will be automatically removed within one year. Reloading a file that has multiple unique identifiers in them will merge automatically. For example, active, engaged users have unique id with email. Creating profiles in BlueConic based on users that in the PostUp list means that the system is automatically mapping identifiers from the PostUp lists into BlueConic. Importing data allows you to choose the fields that you want from the PostUp data source and select the configured Profile Properties in BlueConic that you want to be importing data into. BlueConic will import the files every night automatically. If you need to run the files immediately use the "Run Now" function. The Run History maintains a record of the file transfers and will show the details of the file transfer including start date and time, run time, and how many records the connection was able to match.